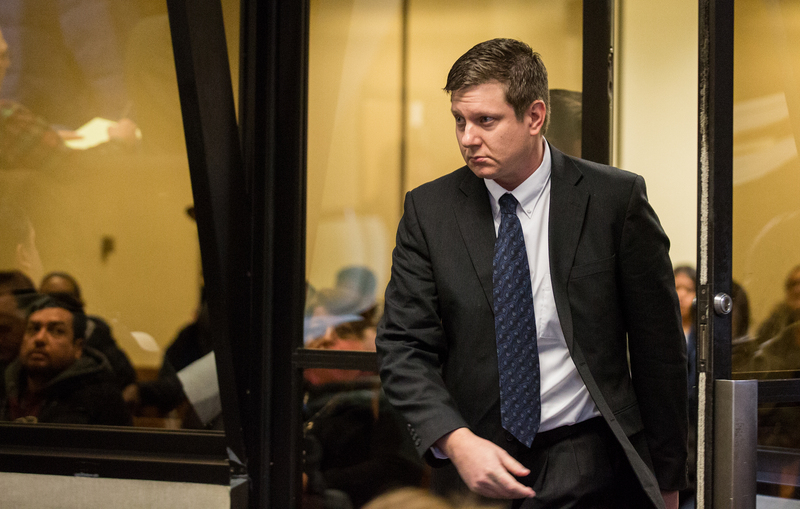 CHICAGO -- An attorney for a white Chicago policeman charged with murder in the shooting death of a black teenager said Friday he will seek a change of venue, arguing that comments Mayor Rahm Emanuel made jeopardize his client's chances of a fair trial. Protesters also blocked traffic Friday near Midway Airport and later marched through downtown Chicago, calling for Emanuel to resign, CBS affiliate WBBM reported. "I understand the mayor has a job to do, but quite frankly I was upset that the comments continued to go on and on and on," Herbert said, according to WBBM. "The outrage in this case by the mayor seems to be a little bit selective, in my opinion. The outrage seems to have been fueled by the media, and the public's outcry. There are equally egregious things going on where we don't have any outcry." Herbert has said Van Dyke feared for his life and the lives of his fellow officers, and the video of the incident doesn't tell the whole story. While several officers who were at the scene when McDonald was shot reported he was aggressively swinging a knife at Van Dyke, video of the shooting shows the teen walking away from police when he was shot. A relative of the slain teen said the family is also concerned about the prospects for a fair trial, but for a different reason. The Rev. Marvin Hunter, McDonald's great uncle, told WBBM that the family has little confidence in the county court system and is asking for federal oversight to ensure fair proceedings. "We feel that we have the police policing the police, and we would like for some federal oversight, so that we feel that we can at least get a fair trial for our family member," he said.